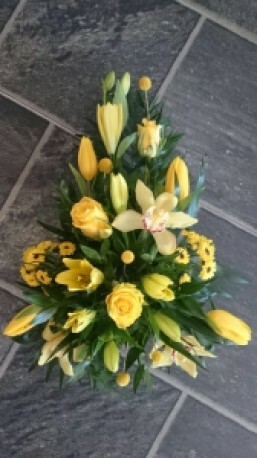 A single ended spray using a mix of seasonal yellow flowers. In this picture we have orchids, roses and lilies along with other flowers. Flowers may vary depending on availability. Including local delivery.